December 6th - Personal Excellence Workshop, Mill Creek, WA. There is still time to sign up! If you're interested and want to take part in this deeply discounted workshop (Price: $150 | Regularly $350), click on this special link. Be productive in the next 5 minutes. Learn how to manage the daily chaos and still maintain focus on what's important. Curious? Learn more here. December 13th - Lean Six Sigma Green Belt Certification Information Session Want to learn how to transform your organization using Six Sigma techniques? This class will help get you started on the path to a leaner, more effective business. This free class is taught at Everett Community College by Chris Lindstrom. January 12th - Advanced Statistics for Continuous Improvement Building on Basic Statistics this class covers more complex aspects of statistics required for Six Sigma. Join Adina Suciu at Everett Community College for this hands-on course. Have you ever been driving and suddenly remember that you need to do something and you can't write it down? Jott Assistant lets you use your voice to capture notes & to-dos, set reminders and appointments, send email and text messages, and post to your favorite web services, all on the go. Jott is compatible with ToodleDo and Ceptara's Organizer. 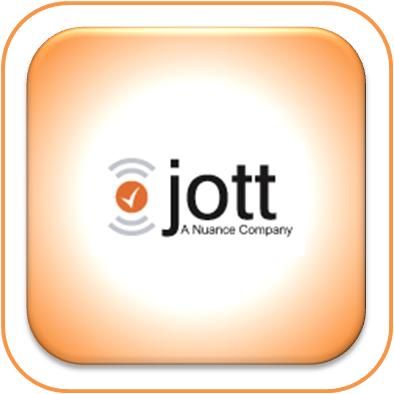 Follow these steps to get Jott working for you. Use the template found here to help plan your next Kaizen event using Ceptara's Outlook Addin. The goal of this template is to help you focus on four major milestones: Prepare the event, Execute the improvement in two phases and Conclude the event using tasks and sub-tasks. Contact us if you need help planning your event and/or would like training on how to perform a Kaizen event. Ceptara has used Quality Excellence as an approach to provide companies with a process to create and manage a business improvement program. We have helped companies be profitable and save millions of dollars. Read more on the foundation of this methods using this link. We invite you to adopt these same strategies for your business and to download the whitepaper. As we approach the end of 2010, we encourage you to reflect on the year and all that you have have accomplished and perhaps those things still left undone. This is a good time to make adjustments in your personal and professional life goals. Take a moment to consider what you would like to improve upon and your vision for the year 2011. Be proactive! Get a head start on the year. If you want some help, guidance, or an old-fashioned push, ask for our help to get you jump started on your dreams for the new year! The Ceptara team hopes you enjoyed this issue. Please feel free to contact any of us if you would like to discuss any of the articles or our services further. We hope you'll pass this along to anyone you think would benefit, and, of course, anyone can subscribe to our newsletter by clicking here. Copyright © Ceptara Corp. 2009, All rights reserved, Privacy Statement.